Clownfish Anemone Compatibility, What Will They Host In? A clownfish hosting with an anemone is a magical and beautiful thing, something most people in the hobby love to watch their symbiotic relationship and see the clownfish almost dancing with the anemone. Unfortunately, some clownfish are known to host in specific anemones while other anemones are not known to host with any clownfish. Some people think that any clownfish can host with any anemone but that's not the case. While clownfish maybe be known to host with a specific anemone, sometimes someone forgets to tell them while they are growing up. Literally, the clownfish is one of the most common bred fish in the hobby. 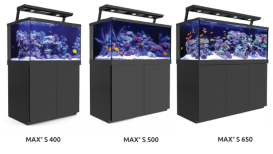 There are most likely several people in your local reef club that either currently breeds them or has in the past. 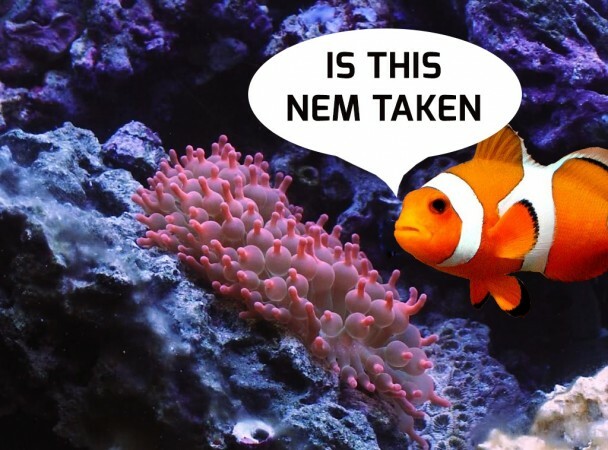 Some claim captive bred clownfish are loosing there symbiotic relationship with anemones. 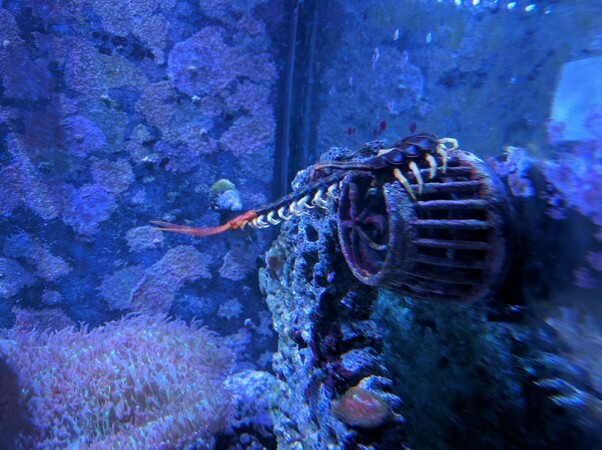 A trait needed for survival while living in the ocean but not really a requirement in an aquarium. With that said even clownfish taken from the ocean do not always host with anemones, a captive-bred fish is an awesome thing for the hobby/industry and the goal as we learn more about different species if to try to captive breed all species of fish. So what clownfish or anemone should I get if I want them to host with one another? The best thing if you want to make sure that they host is to buy a set, a clownfish, and anemone that have already established their symbiotic relationship. Unfortunately, even when doing this, once you place the clownfish and anemone in your tank it could choose to host with something else in your tank like a toadstool leather. Below I will give you some advice on things to try to do to see if you can get your clownfish host with an anemone. 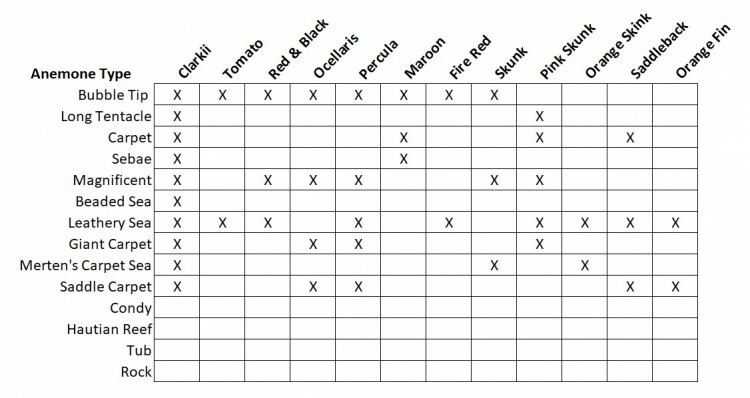 So out of all of the clownfish, the Clarkii clownfish seem to be the most compatible clownfish to host with different anemones followed by the Percula Clownfish and the Pink Skunk Clownfish. On the other hand, if you own a Leathery Sea Anemone you potentially have the most potential to get a clownfish that is compatible, followed by Bubble Tip Anemones. Some anemones also do not have any known host like the Condy Anemone, Haitian Reef Anemone, Tube Anemones and Rock Anemones. OK, so you got a clownfish and an anemone that should be compatible with one another and they are both happy but they do not want anything to do with one another. Sometimes a clownfish just has to get to know the anemone. Normally, once they find one another and build the bond the clownfish will continue to host with the anemone. When they are both in the same tank sometimes the clownfish swims right into the anemone. Sometimes it takes a few days, weeks, or even months. Keep in mind that an anemone can kill and eat a clownfish, especially if there is no proof that the two species are known to host with one another. You will know when a clownfish has accepted the anemone as a host. Normally, the clownfish will start to brush up against the anemone repeatedly, shortly after the clownfish may even start to dive into the anemone aggressively. The anemone may not look happy at first but the clownfish is building it slime coat and they should be fine. So it has been a while and you want to intervene in the natural process and see if you can get the clownfish to host with the anemone. 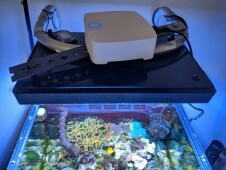 One of the things that you can do is try to get rid of the distractions, you can either use an acclimation box or what I use in the past is a small plastic aquarium, you want to make sure there is enough space in the acclimation box/plastic aquarium for the clownfish to move out of the reach of the anemone. Putting them both into a small enclosure could stress the clownfish so while they are together, keep a close eye on them. If the clownfish looks like it is getting stressed out you want to release it. Sometimes they just have to make contact so if you have an existing anemone if you can get the clownfish to go directly to the anemone its a done deal. Here is a video of Marc with MeLovsReef using a clear cylinder tub and releasing the clownfish into the tub forcing them to have to pass through the anemone to go anywhere else in the tank. Check it out. Have you done anything interesting to try to get a clownfish to host with your anemone, did it work? Tell us about it below.